For the next couple of weeks HH66 “Nala” will be available for showings in Newport. HH66-03 Nala owned by Jim Vos, took 1st Place in the Offshore Multihull Class at the St. Thomas International Regatta, beating three Gunboat 60’s and the previously unbeaten Bieker 53. The event was Nala’s racing debut. She sailed with speed and consistency. Taking three 1st’s and two 2nd’s, Nala finished 1st overall in the Offshore Multihull Class. The new HH66 also competed in the BVI Spring Regatta and claimed 2nd in her class. 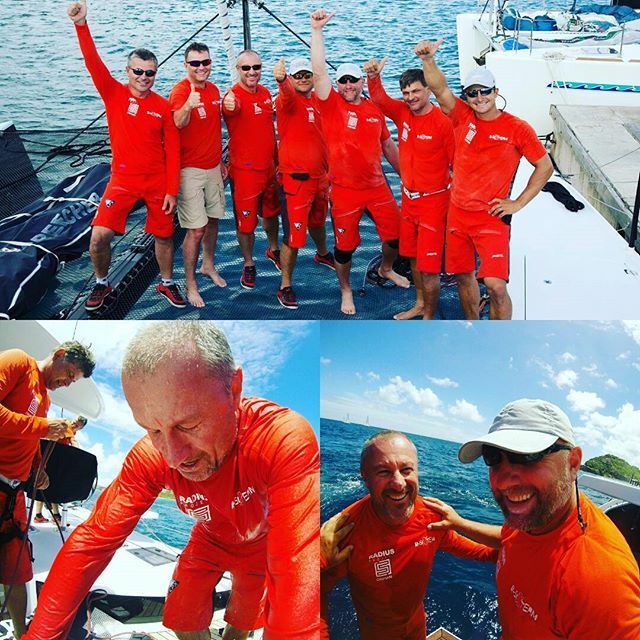 In the 12 months since the boat first launched, R-SIX has completed two Atlantic crossings and five podium finishes in the following regattas. Very impressive feat for both boat and crew. We wish R-Six luck with their future endeavors!